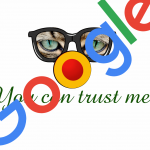 Google has long taken a strong stanceagainst linksthat manipulate a site’s PageRank. Today we would like to reiterate our policy on the creation of keyword-rich, hidden or low-quality links embedded in widgets that are distributed across various sites. How Can You Build Links With Widgets? It’s a very handy way to grab a lot of sitewide links. You just have to create a a tool (like a calculator or a stock ticker) and let people embed it on their site. This can be a WordPress plugin or whatever platform you are targetting. Of course you don’t forget to place a link in the widget. Advanced folks can add functionality that let’s them change the link and anchor text on the file, remotely. The result is a lot of links. You run into problems with Google when these links are hidden, keyword-rich or low quality. It can be especially useful in dilluting your anchor text concentration. If you are using it only with naked URLs, it helps you gain a lot of sitewide links that can quickly tip the scale in the right direction. And that’s exactly why you don’t want to use it with your main anchor text. It would raise a red flag for Google immediately. I have tracked a competitor for a year. They were using theme promotion as their main way of building links. Google let them get away with it, but once they have amassed a couple hundred thousand links like this, they fell off the top couple of SERPs and never returned. How I would Use It? I would use only my URL as anchor text. That would still add a lot of juice to my website. And I would take care of the anchor targeting with different links and from different sources. I think it’s still a very lucrative way of building links.